DU PG Admission 2018: Those individuals who are willing to take admission in Post graduate courses are required to download DU PG Admission Schedule List. Individuals need to go through the Login Portal of official website to get the Delhi University PG Admission Notice. By doing so, students will come to know about the important dates of document verification and approval of admission. The university will release three DU Post Graduate admission lists from 25-07-2018 to 06-08-2018. Those contenders who have their name in Delhi University Admission list will need to come for documents verification process. After that, they finally get admission in post graduate courses at University of Delhi. B.Tech./B.E. Electrical/ Electronics/ Electronics and Communication/ Instrumentation Engineering with at least 60% marks. B.Com Or B.B.S. B.B.A. , B.B.A., B.I.F.A., and B.B.E degree from recognized institution. All the candidates are glad to know that to apply for DU Post Graduate Admission there is no minimum age limit for admission to undergraduate and postgraduate courses offered by the University and its colleges except for the courses for which age is prescribed by MCI, DCI, BCI, AICTE and NCTE. Those candidates who want to get DU PG Admission 2018/ Delhi University Post Graduate Admission 2018 they have to crack entrance exam conducted by management team of this reputed University. University prepares DU PG Admission 2018 Merit list on the basis of marks scored by candidates in entrance exam. Each answer should have to be marked on Optical Mark Recognition (OMR) sheet. There will be separate subjects from which the questions will be asked for each and every course. Questions will be asked in the form of objective type (except for some of the foreign languages including Persian which have short answer questions). Total 2 hours will be allotted to candidates to complete the exam. There is a negative marking for UG courses. 1 mark will be deducted for each incorrect answer. The DU PG Exam Syllabus is totally based on graduation level of Delhi University. How to Fill up DU PG Admission 2018 Online Application Form? In few seconds a new page will be opened you need to go to the right side of the page and hit on New Registration as given in image. Now Fill DU PG Admission 2018 Online Registration Form with entire and correct details. Finally review all the details and press on “Submit” tab. Certificate of Class 10th (Self Attested) as Date of Birth proof, max size 100KB. Certificate of Caste (Self Attested) (If Applicable), max size 100KB. PwD Certificate (Self Attested) (If Applicable) , max size 100KB. CW Certificate (Self Attested) (If Applicable) , max size 100KB. DU PG Admit card download link will be available in the last week of May 2018. DU PG Admission 2018 Admit card will not be dispatched by post. Question 1: Can I edit the details filled during the time of online registration for UG courses? 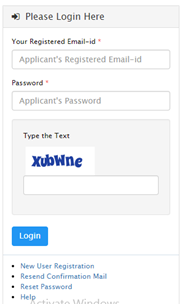 Question 2: I would like to change my examination centre of entrance exam after completing online registration form. Can I? Question 3: Is it possible to obtain the admit card via post? Question 4: When the application form for UG/PG entrance exam will start? Question 5: Can I submit the registration fee through Demand draft? Question 6: Can you tell me the syllabus and exam pattern for UG entrance test? Question 7: Do I need to send the hard copy of application form? Question 8: Can two candidates can apply for the same account? Question 9: Is a candidate required to be present in-person on the day of admission? Question 10: Will there be any disadvantage for gap year students? Go through this Official Link to get entire details related to DU PG Admission 2018-19.